Current selected tag: 'logo design'. Clear. 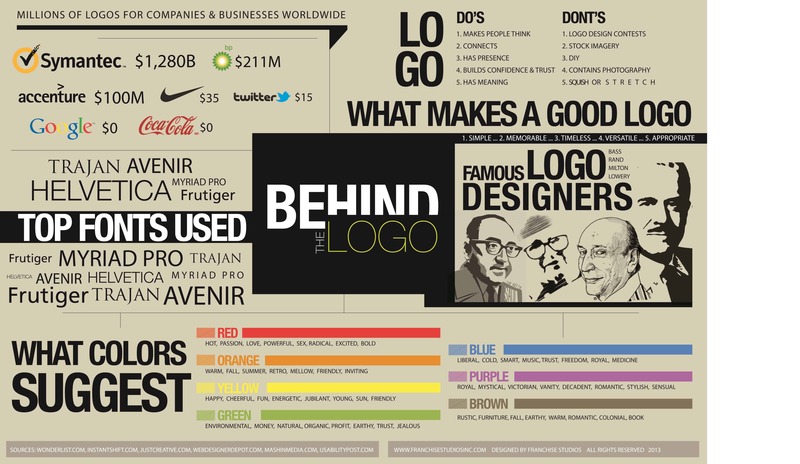 An interesting infographic that shows the design progression of several popular logo. If you're currently working on a rebranding project for a client, this reference guide might give you some new ideas about how you can update the logo. looking at the evolution of logos is very interesting, particularly the windows logo which grew on me and ive been seeing it all my life. Creating a unique logo for your business is important if you want to stand out from the rest of the competition. This simple reference guide offers some useful tips about designing a unique and unforgettable logo for your business. a very nice information of a unique logo! i definitely agree with the font part, it's pretty darn frustrating looking at logos with thousands of fonts on it! There are several factors one has to consider before designing a logo -- all of which have an impact on the way people will view your business and the image you represent. This simple reference image explains some of the key things you need to keep in mind when designing a logo for your business.